Xanalys customers who enjoy reading Crime novels will be interested in a new detective novel which is set in the UK North West and written by Xanalys Senior Consultant David McCaddon. David who is based at Xanalys HQ in Manchester is also an author and award winning playwright. Following Digital Footprints is the first book in a trilogy which has now been published by Austin Macauley in hardback, paperback and ebook. The book is available on Amazon, WH Smith, Waterstones and Barnes & Noble. Credit card fraud or identity theft is everyone’s worst nightmare and this Crime thriller takes the reader behind the scenes in the investigation and detection in this fast moving story set in a fictional police force in the North West of England. Different sections of a police force are investigating cases of hire car theft, credit card fraud and identity theft using traditional methods supported by ever more sophisticated IT systems. The criminals, meanwhile, become increasingly greedy but appear to be committing their crimes under the radar. The suspense builds, as the police build their case methodically and with the occasional element of luck. There are several twists and turns as the plot races towards a conclusion, and the reader can only wait and see whether the police or the criminals will succeed. This is a modern detective story with a difference which draws upon the author’s intimate knowledge of working with police investigative systems and observant readers may also note mention of Xanalys technology employed to solve the crime! David McCaddon has written an enthralling whodunnit by drawing on his many years of experience in law enforcement systems development working with police forces worldwide. The technical details are described with a light touch and this adds to the enjoyment of the novel. A pleasurable and satisfying read for fans of the detective genre. The second book in the trilogy “In Digital Pursuit” is being published in 2017. 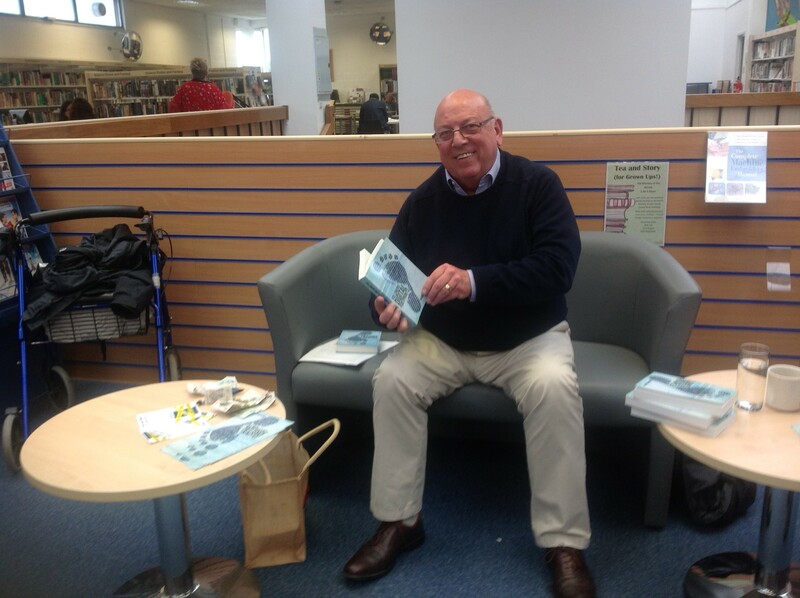 Photo: David at the launch of the novel at a book signing event at Congleton Library, Cheshire.